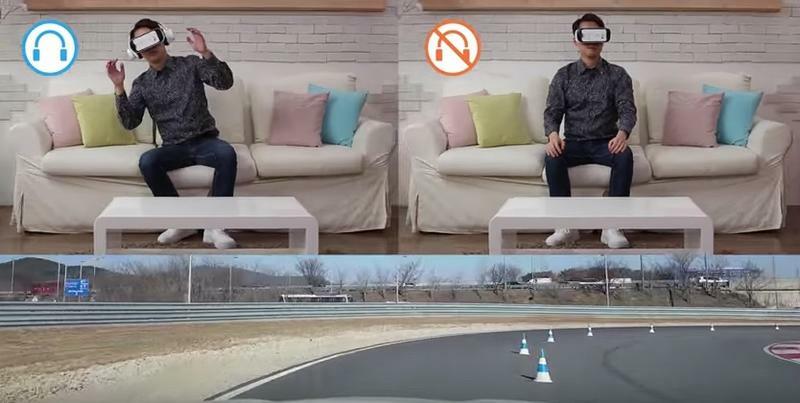 Samsung’s Gear VR offers a pretty amazing experience, but there’s still a disconnect between the movement you’re seeing onscreen and your actual body. 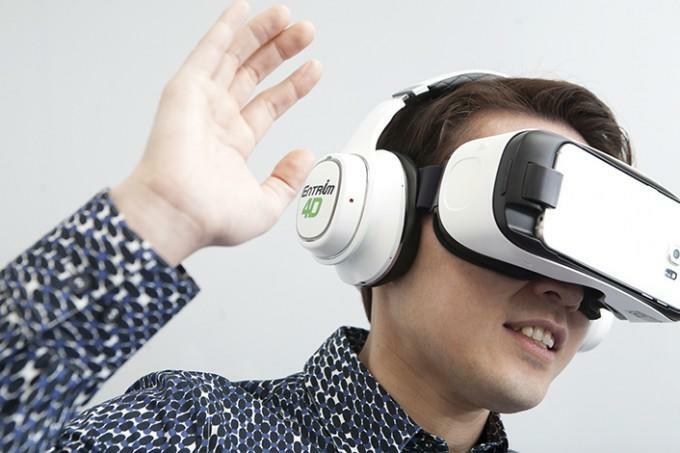 Now the company has a solution with an amazing pair of 4D headphones unveiled this week at the SXSW conference. 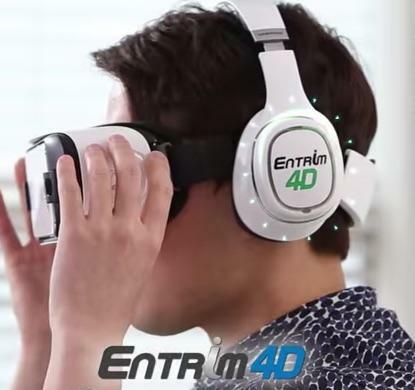 The Entrim 4D sends electrical impulses to the vestibular system in your inner ear. This tricks you into thinking your entire body is moving. 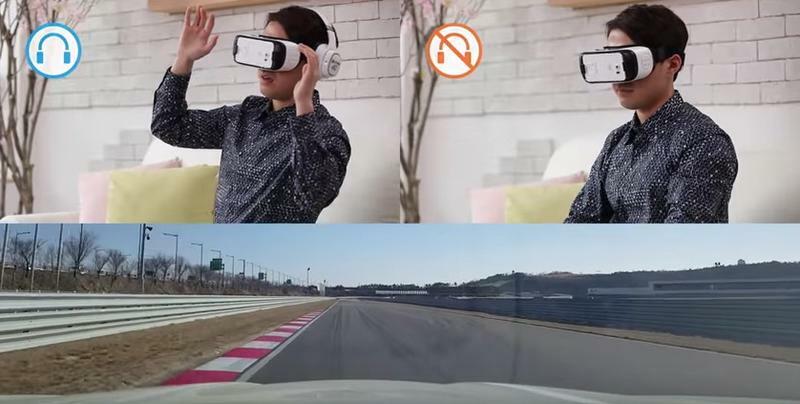 In the video above, it’s used to complement virtual reality simulations for driving a race car and riding a roller coaster. Samsung notes that the technology is safe, and it’s already been tested on humans successfully. 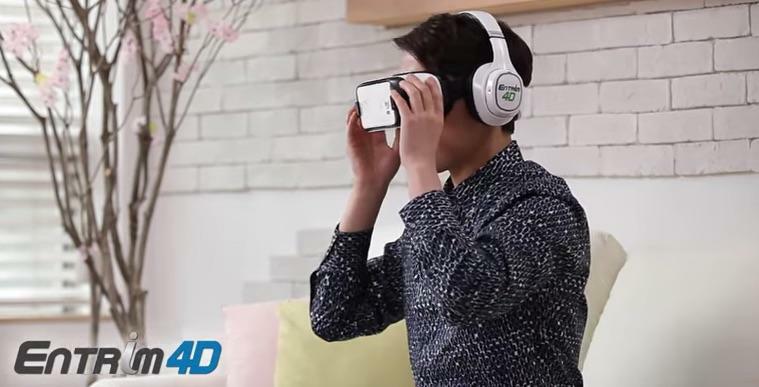 4D headphones could also help reduce nausea sometimes experienced with Gear VR by removing the disconnect between what you see in virtual reality and how your body actually feels. The company already offers another 4D experience with a special moving chair that’s programmed to match the motion you’re seeing in VR. Samsung probably won’t be selling those chairs anytime soon, but these new headphones could be a much more practical way to achieve something similar.